I will be speaking at .NET Developer Days 2014 in Wrocław, Poland. The conference will be held between 14th and 16th October 2014 at the City Stadium in Wrocław. 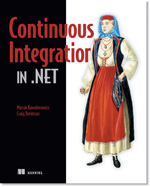 The topic is “Continuous integration and deployment in .NET with Jenkins CI and Octopus Deploy”. Here is the conference website: http://developerdays.pl/.